A new paper submitted to the International Journal of Astrobiology suggests that aliens on Super-Earths would have difficulty launching ships into space – potentially explaining why we haven’t received an otherworldly signal. The dream of finding alien life continues to be ever-present for scientists and the layperson alike, but it appears as if aliens on Super-Earths may have difficulty getting to us – even if they wanted to. 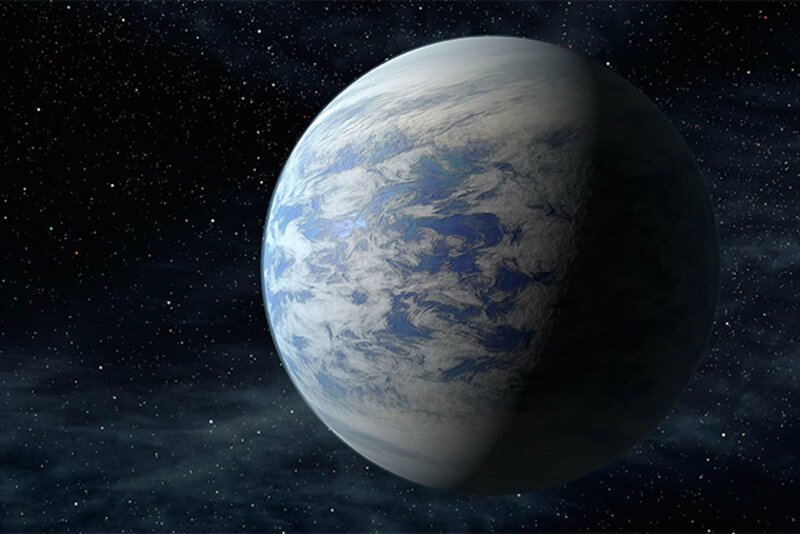 Super-Earths are rocky planets that are around 1.5 times the radius of Earth and are extremely common, causing astronomers to look to the planet for signs of life. If aliens on these planets were to send signals to or travel relatively close to Earth, astronomers would likely be able to receive said signals and maybe even communicate. If an advanced alien civilization is anywhere near as developed as our own, however, it’s not likely that these aliens would be able to see liftoff due to the rough conditions on the surface of these Super-Earths. Thus, due to the influence of gravity, it may be next to impossible for these aliens to escape the confines of their Super-Earths. However, there’s also a possibility that these alien civilizations may be far more advanced than our own – bringing into question why exactly we haven’t been able to receive any contact from them and whether or not they actually exist somewhere out there. Conspiracy theorists on Earth are convinced that we’ve been in contact with aliens and that the government is keeping it a secret and there’s a slim possibility that that is true, but it’s more likely that we just haven’t come across any evidence of alien life in the universe around us. The reason that gravity is such an issue on these Super-Earths is that the planets have around twice the radius of our own Earth – potentially having around 10 times that of our home world. This causes the gravitational pull to be more than twice as strong, and while this extra gravity may actually be good for the formation of life due to the pulling down of gases to “hold a thicker atmosphere, and thus better shielding for life on the surface against harmful cosmic rays,” it’s a major inhibitor to the launch of a ship off of these Super-Earths. To put it into perspective, to launch something like 1 metric ton of payload on one of these Super-Earths, a chemical-fuel rocket would need to be around three times the size of Saturn V – a ship that carried around 45 metric tons off of Earth and to the moon. At least with our current technology, that sort of construction just isn’t easily attainable – and it would make sense that the average alien civilization might not have access to tools to build such a massive spaceship either. The paper does speculate that intelligent aliens could build launch platforms on top of tall mountains in order to achieve liftoff with less gravity, but mountains actually tend to be smaller on Super-Earths due to the high gravity squishing them down. Any intelligent civilization would have to build large platforms to launch from higher altitudes, making it less likely that this solution is possible. If we do discover an alien civilization, chance are that they will be far more advanced than our own if they are to escape the confines of these Super-Earths. The only solution to these sorts of problems that we know of with our current understanding is some sort of nuclear-powered rocket or perhaps a new space elevator. While scientists continue to search for alien civilization, chances are we won’t be seeing any signals or spacecraft from the ones we’ve seen thus far.